Here, we present the management of our company. 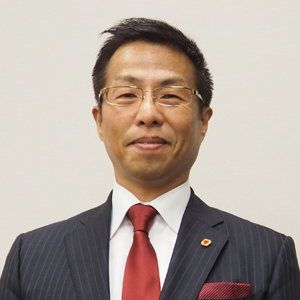 Kaneto Kanemoto worked at GK Kyoto, Daiwa K.K., and Isola Communications, Co., Ltd. before founding OKWAVE. He became President and CEO in February 2000 and has held his current position since July 2018. We will continue to make our mission of “contributing to worldwide development and making physical and mental happiness a reality through creating places of mutual aid” a reality. I appreciate your continued support and guidance in the future. Thank you very much. 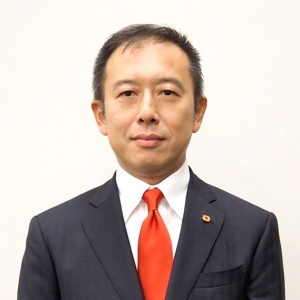 While at Waseda, he founded AsZ Co., Ltd. In 2012, he founded AsZ Group Holdings (currently AsZ Holdings) and served as Representative Director. In 2016, he was appointed Representative Director of Sougeisha Co., Ltd. Since its foundation, OKWAVE has provided Q&A service based on a philosophy of communication and mutual aid that believes in human goodwill. Fusing our database of over 47 million bits of “gratitude”, a rare feat even on a global scale, with the latest technology such as AI, blockchain, and cyber security, and giving value to our off balance sheet assets, something that was not fully appreciated under conventional values, is an immediate milestone. The destination of IT as it aims for total efficiency is a spiritual world, and what embodies this noble spirituality is gratitude and respect. Those who are appreciated can enjoy a rich physical and spiritual life based on proper valuation. We will use our technology and financial engineering to make this a reality. OKWAVE aspires to serve as a life platform that coexists with the human race worldwide from birth to the winter of life, and I will work to improve our corporate value and contribute to society as partner to founder Kanemoto. I would like to use the tools and expertise cultivated in managing OKWAVE to help enterprises using our services reduce costs and increase sales. I hope to convey the benefits our FAQ service to an increasing number of enterprises and have them experience these benefits for themselves. My job is to make workflow in the management department smoother and create a company where it is comfortable to work. Nothing would bring me more pleasure than making the world a better place by expanding OKWAVE’s business. Appointed in September 2014 after working at Ricoh Company, Ltd. and Microsoft Japan Co., Ltd. The simple yet powerful communication tool of Q&A creates mutual understanding not only between individual and individual, but between corporations and individuals as well as between corporation and corporation. Looking at the bigger picture, Q&A is a treasure trove of discoveries and clues to expanding or improving business. We will draw out the maximum potential of Q&A and offer it in a form suited to your needs, so expect a lot from us in the future. The founder of Japan’s first information security specialty company Artemis after working at SEIBU RAILWAY Co, Ltd.. 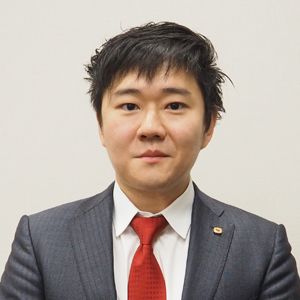 He serves as director of the Japan Hackers Association. At OKWAVE, we are cognizant of the balance between cutting-edge technology and existing technology. Through keen and fair judgment toward every kind of technology, we will continue to provide products and services that are not only safer and more convenient for customers, but can help to enrich their lives.